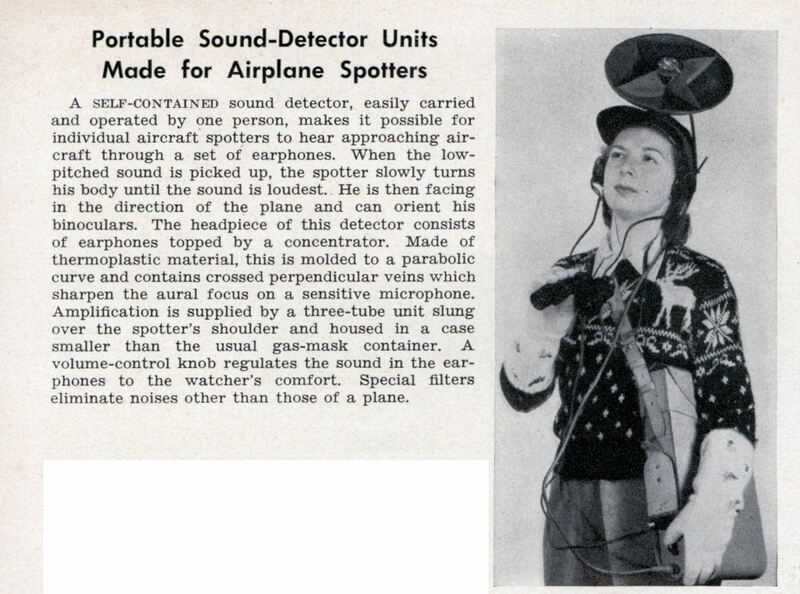 A self-contained sound detector, easily carried and operated by one person, makes it possible for individual aircraft spotters to hear approaching aircraft through a set of earphones. When the low-pitched sound is picked up, the spotter slowly turns his body until the sound is loudest. He is then facing in the direction of the plane and can orient his binoculars. The headpiece of this detector consists of earphones topped by a concentrator. Made of thermoplastic material, this is molded to a parabolic curve and contains crossed perpendicular veins which sharpen the aural focus on a sensitive microphone. Amplification is supplied by a three-tube unit slung over the spotter’s shoulder and housed in a case smaller than the usual gas-mask container. A volume-control knob regulates the sound in the earphones to the watcher’s comfort. Special filters eliminate noises other than those of a plane. In the Hitchcock movie “The 39 Steps” the McGuffin of the film is the method of producing a silent aircraft engine. That would be a ‘stealth’ aircraft, were it not for RADAR! 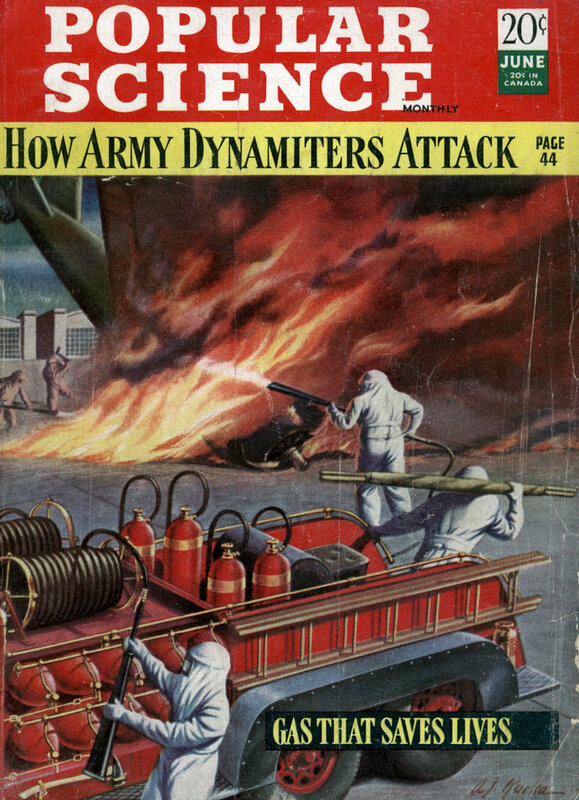 I find retro newspapers quite amusing, and the good folks at Modern Mechanix blog seem to agree…….